I've blogged for two months already (oh man, the time flies so fast! ), so I'm by no means an expert, but there are some things I've learnt during these amazing months so far and I'd love to share them with you. Use more than 3 fonts and your blog’ll look messy. Just trust me. The most popular fonts are probably Times New Roman and Arial, but you can find a lot of other fonts from various websites, for example www.dafont.com or www.fonts.com. ﻿To find scientifically matching color schemes, start with your primary color and find supplementary colors with a color scheme generator. I personally prefer black, gray and pink tones, but it’s all up to you. Using green, purple and orange at the same time isn’t a good idea, so it’s always better to feature neutral tones in your blog. Nowadays people say that “mobiles are the future” and that’s so true! Most of the time I browse different blogs I’m using my tablet or phone. You can find a tutorial on how to make your blog mobile-friendly here. When people visit your blog, the navigation bar is probably the first thing they’ll look at. There’s nothing wrong if you want to keep your blog’s design on minimum. Just be sure not to forget adding at least contact and about me pages. Also search box is a useful tool. I’ve seen a lot of people asking about designing the navbar, you can find some good ideas from here. While using neon floral-patterned background may seem like a good idea, don’t! Just don’t! 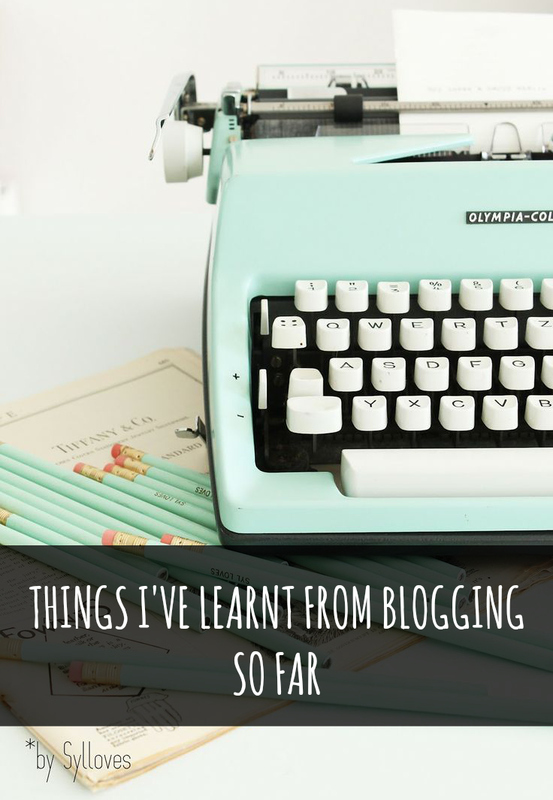 Design your blog’s appearance just the way you want it to be, but don’t go overboard. It's never a bad idea to use the help of those ones who really know what they're doing. One good example of designing blogs is Pipdig, their works look amazing and I'm probably going to purchase their template sometime soon. There’s no need to talk about shoes or hats if that’s not what you’re passionate about. When I started my blog, my goal was to write about fashion, but as the time passed, I realized that there are a lot of topics I want to cover - one of them being DIY projects. Besides, if you don’t like your content, why should your readers do? ﻿Don’t measure stats too early. If you’ve blogged for a few months only and you're expecting thousands of views, then you’re wasting your time. Make sure you have Google Analytics installed and wait - the readers will come if the time is right. Just keep doing what you love the most and you'll see the results. Keep in mind, what's meant to be will always find a way.